From all the contests and giveaways that I've joined, this was the grandest and the most fabulous of all. If you'll ask me why, this was my first time to have a makeover done in one of the most prestigious salon in the Philippines and it's also my first time to wear something that most celebrities wear in their crowning glory. 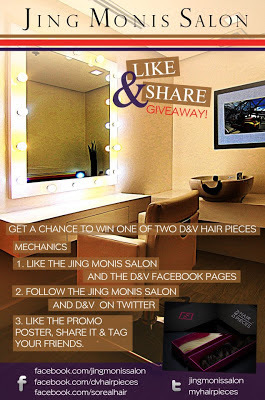 Winning from Jing Monis Salon's like and share giveaway on Facebook was the bomb! Imagine yourself being pampered in a place where famous celebrities like Maxene Magalona and Judy Ann Santos, socialites and politicians entrust their hair and makeup services. I felt very special and princessy that day since this once in a lifetime experience truly made my day epic. This post will be a lengthy one. I do hope you'll read it from the very start up to the last part because I'll be sharing important things that I learned from the makeover team. So are you guys ready? Let's start shall we? 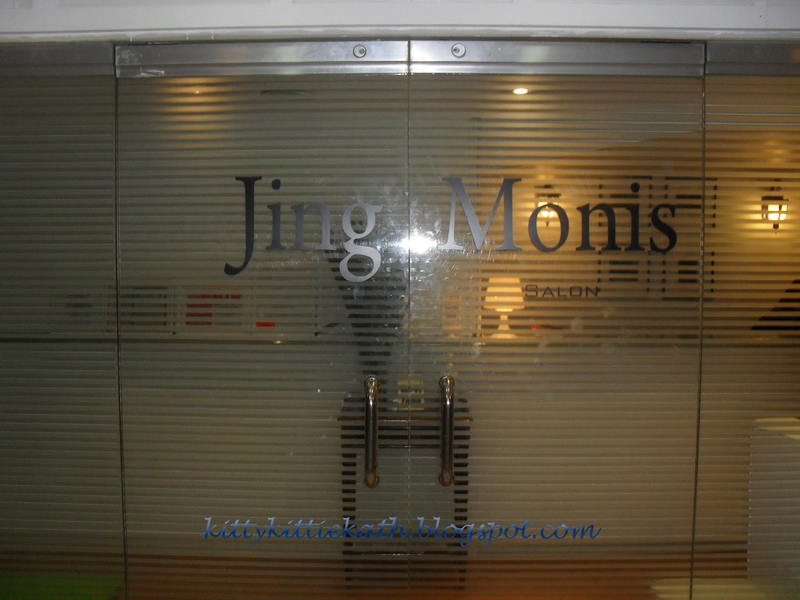 Jing Monis Salon Makati, Greenbelt 1 branch is located at the 3rd floor above the cinemas. 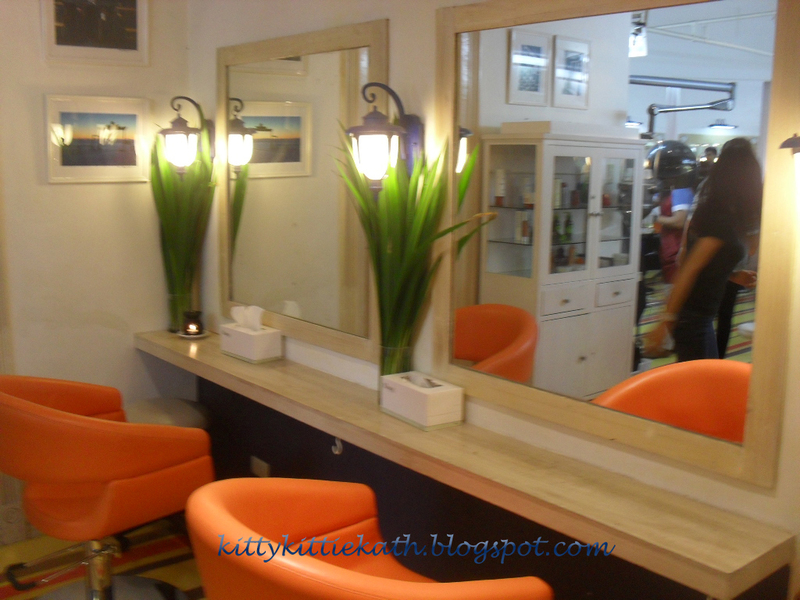 When I arrived there, I thought the salon's place was very small but when I stepped inside and welcomed by the receptionist, I was awed by the ambiance. The place was very quiet and I felt the homey environment with the warm welcome of the staffs. And when I entered the other side of the room, there I saw all the staffs and crews that's very busy doing their clients hair and makeup. I was really surprised that the place was packed with their loyal customers having their holiday makeovers. Some were going to attend weddings while others were having their Christmas parties. 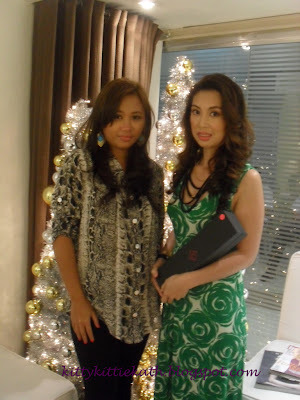 Before the makeover, Ms. Joana Ballesteros PR and marketing manager explained to me the treatments and procedures for my makeover. She also introduced me to my makeover team: Mr. Fritz Almencion, Mr. Rigel Buna Tedor- creative stylists and Joyce Seludo- makeup artist. I learned so many things from them. I'm really overwhelmed and treated like their loyal customers unlike other salon staffs that were snooty, IMO. They are very friendly and approachable!!! So here are the important points that I learned from Mr. Fritz. From his experience from other top salons in our country, I'm sure that his hair care advice is a must if we want to achieve the celebrity salon style hair :D Always make sure to have your haircut every 2 months. Trim the edges so to eliminate split ends thus having less frizzy hair. Hair can be damaged not only from the chemicals that we apply to them like shampoo, conditioners, gels, and DIY treatments. Environmental pollution is also another factor. It is advisable to shampoo your hair 4 times a week so that natural hair oil will not be stripped off from your hair cuticles. It will also maintain the PH balance of your hair. Choose the right shampoo depending on your hair type. Like in my case, I need use shampoo and conditioner for color- treated hair since I have colored hair. Shampoo starting from the scalp to wash out chemical buildups and condition starting from the tips. Other points we discussed were the common things for hair care like avoid tugging and using friction when towel dying your hair just let the natural air make it dry. Use umbrella and other protection for your hair from the damaging and drying effects of the sun and acid from the rain. Make sure to have your hair treatments every month to maintain the health of your tresses. Giving my hair all the boosts that it needed :) Thanks to the organic hair treatment made exclusively by Jing Monis Salon called Bonacure. They applied the total hair repair treatment here. My locks felt soft and smooth after. I love how it gave volume to my thin limp hair. And before I forgot, he cut the dry ends of my hair and trimmed some parts as you can see on the photos above. After this he toned down the color of my hair from ash blonde/golden blonde to dark ash brown to match the color of my hair extensions. 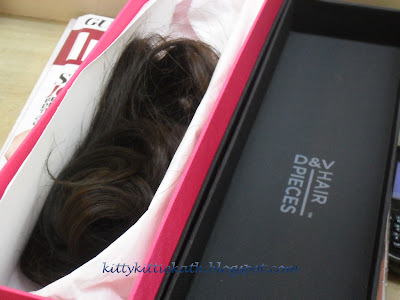 The last thing they did was applying the organic hair treatment (Bonacure)- total hair repair which Jing Monis Salon exclusively formulated for all types of hair problems. DV hair pieces. The most gorgeous hair extensions that I've seen and now I'm owning one. I know this is expensive but worth the buy if you're planning to have one. This is made from human hair. My hair extensions color is expresso, it's natural to medium brown shade. 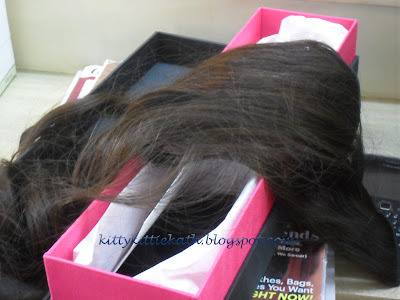 It's very easy to use since this is a clip on type of hair extensions. They also have another type, the tape one. If I'm not mistaken, the latter is permanent, IMO. After all these, the exciting part was the hair extensions. It's my first time to use this amazing hair pieces. The color is expresso and I was a bit unconscious at first because after years of being blondish, my hair color now is a bit dark. This real human hair extensions weighs a bit heavy since I'm not yet used to it but I really love wearing it!!! 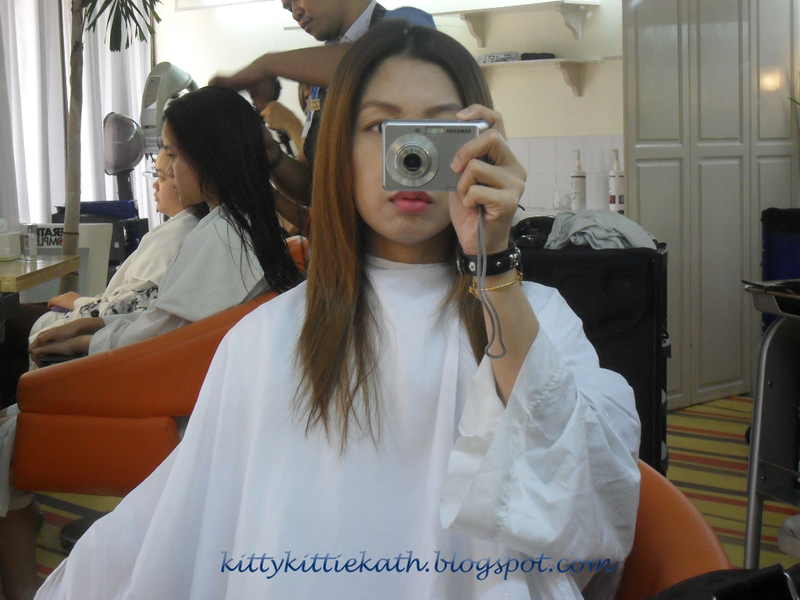 I love my makeover :) From the haircut, to the treatment to my extensions and the makeup. The makeover made me looked like my early 20's. Haha! Light smokey eyes for photoshoot. Thank you so much Ms. Joyce, no wonder my makeup looks fab!!! Thank you so much for choosing me as the winner!!! The Jing Monis Salon is located at 3rd Level Greenbelt 1, Makati. You may call them at 893-4098 or 804-4773. 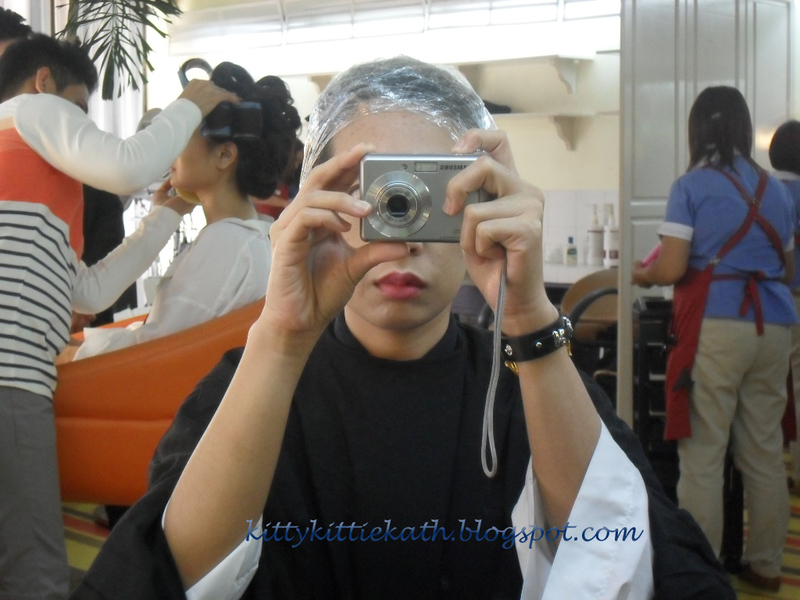 Hi im planning to have my hair colored this coming may. how much did you pay for your hair color?